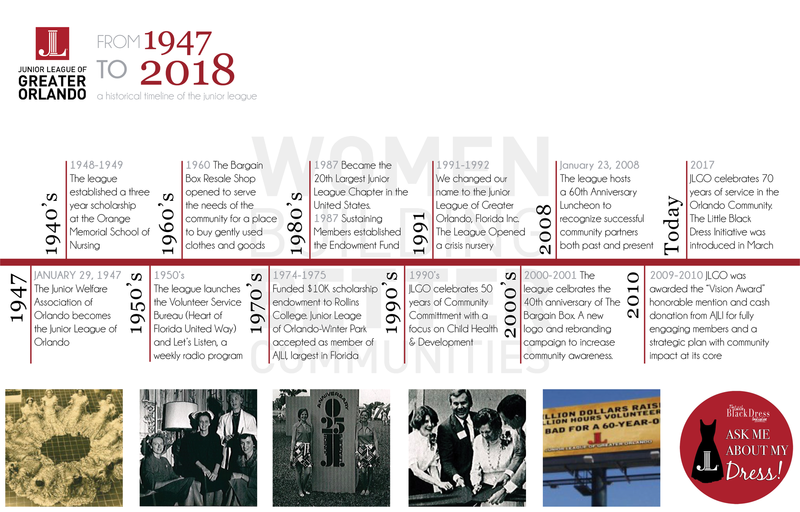 The Junior League of Greater Orlando (JLGO) is an organization of women committed to promoting volunteerism, developing the potential of women, and improving the community through the effective action and leadership of trained volunteers. Our purpose is exclusively educational and charitable. Are you interested in supporting our enduring legacy as the foremost provider of civic leadership training for women, we encourage you to join us. We depend on local resources to support our work in the community. As a donor to the Junior League of Greater Orlando, you are supporting an organization devoted to training women leaders to create lasting community change.